Rents across the UK are set to rise considerably faster than house prices over the next five years, according to property agents Savills. It forecast that rents will go up by 19% between now and 2021, while house prices will only rise by 13%. The gap will be even more pronounced in London, where it said rents will rise by 24.5%, and house prices by 10.9%. The reason was "post-referendum economic uncertainty" and weaker consumer sentiment. Next year Savills forecast that average house prices will not increase at all, with falls of up to 2.5% in Scotland and the North East. However prices in the north will start to "outperform" by the end of the five year period. 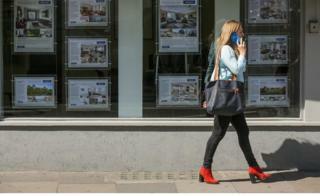 At the same time demand for rental properties will increase, it said, as first-time buyers struggle with affordability.